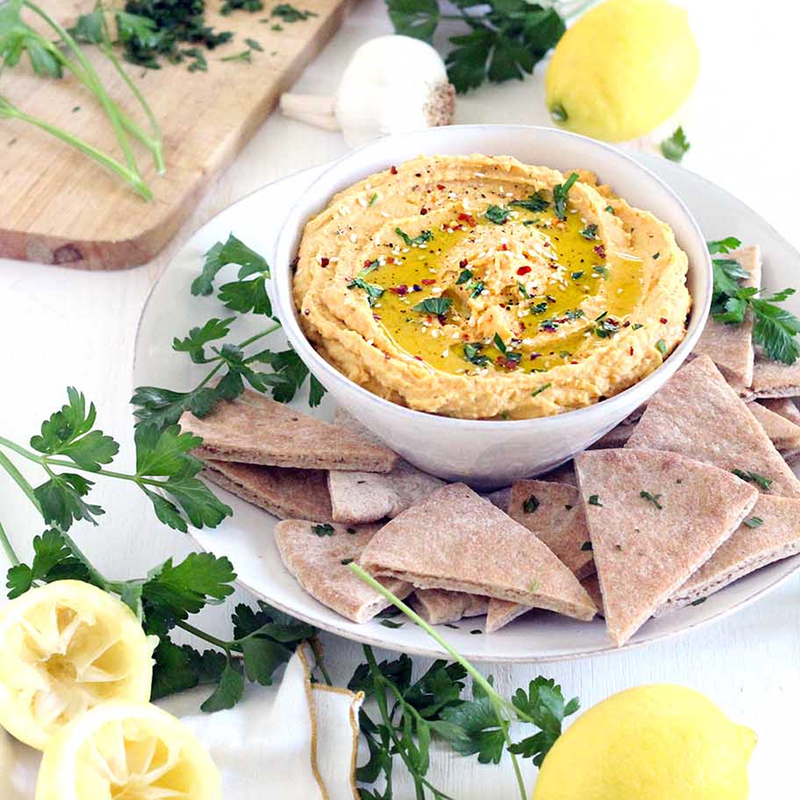 Hummus is so delicious and nourishing, it’s no surprise that it has become a favorite among healthy eaters. Whether you’re using it as a dip with veggies, a spread on pita, or a topping on a sandwich, adding more hummus to your diet is always a good idea. 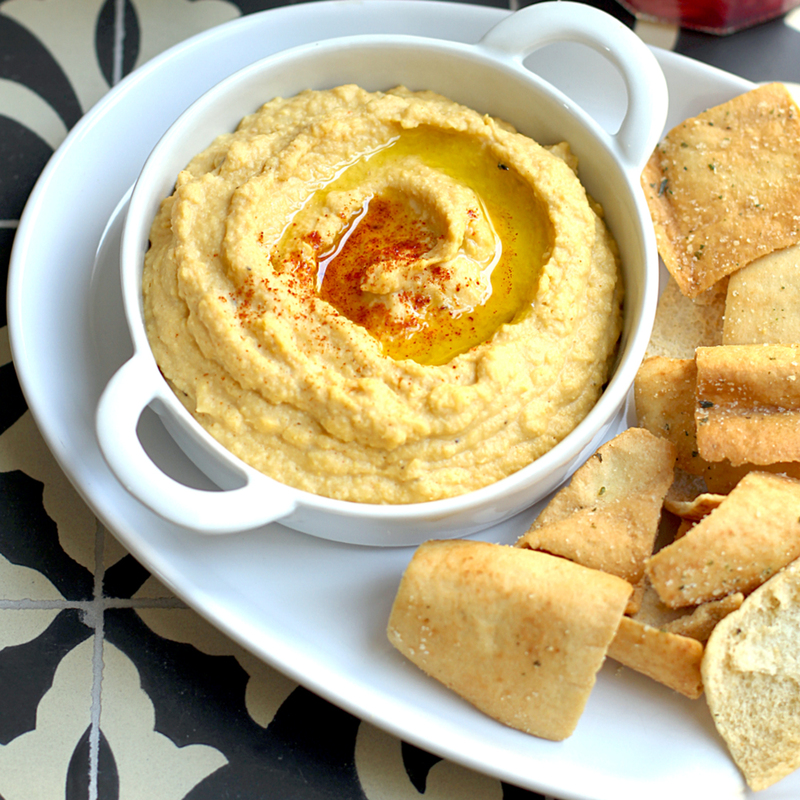 If you’re worried about growing tired of hummus, don’t be! There are a ton of different ways to prepare the tasty spread —spicy, sweet, savory, you name it. To get you started, our team has compiled a list of deliciously creative hummus recipes to add to your bank of recipes. Enjoy your two favorite dips simultaneously with this out-of-this-world hummus and guacamole combo. This recipe blends northern beans and avocado together to create a perfectly creamy texture. Aside from its great taste, this recipe comes complete with healthy protein and fat. If you think hummus can only be made with garbanzo beans, think again! Switch things up with this recipe that features black beans as a base. Spiced up with jalapeno and cayenne pepper, this recipe is a great way to add some heat to a sandwich. With this pumpkin pie hummus, you can enjoy the flavors of your favorite seasonal dessert at a fraction of the calories. Made with pumpkin puree, garbanzo beans and maple syrup, this unique take on hummus will satisfy your sweet tooth while also delivering tons of nutrients to your body. 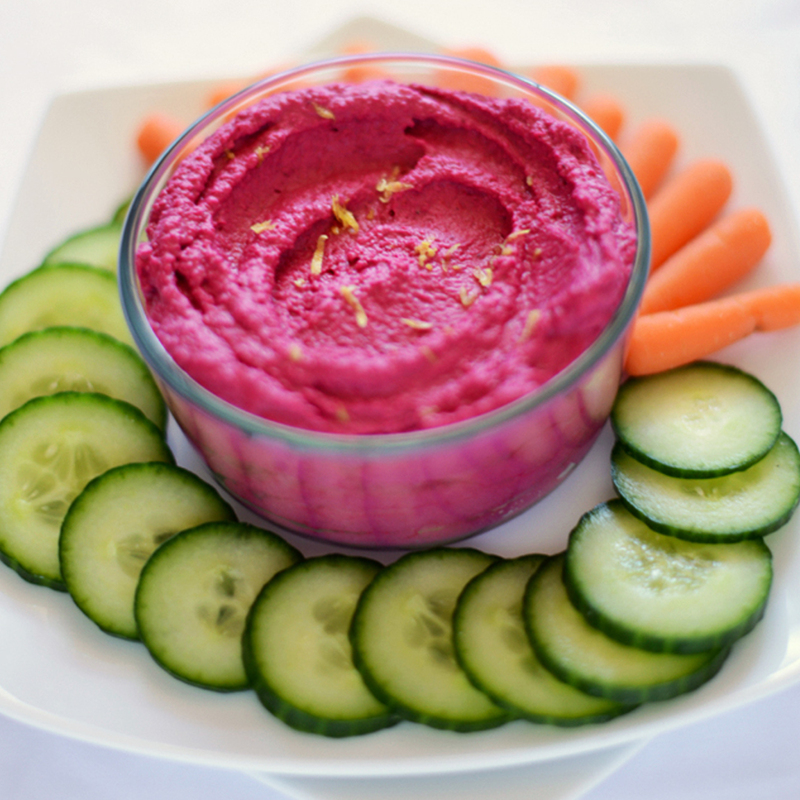 This hot pink beet hummus is so vibrant and fun, even your kids will be excited to dig in! Loaded with extra flavor and nutrients, this healthy version will definitely be a hit with the entire family. On the days that you’re having difficulty deciding between sweet or spicy, this recipe is an ideal go-to! With subtle sweetness from honey and punch of heat from siracha, this unique combo will provide the best of both worlds. Step outside of your hummus comfort zone by adding corn to the mix. While corn is typically known for being a side dish or component of salad or soup, it’s a great way to add some creaminess to your hummus without sacrificing the nutritional value. For an easy-PEAsy homemade hummus, go for this four-ingredient recipe. It puts a slight twist on the classic version by incorporating peas. Vibrant and flavorful, this dip will be a perfect complement to your favorite veggies. Add some seasonal flair to your hummus with this unique recipe made with roasted sweet potatoes! 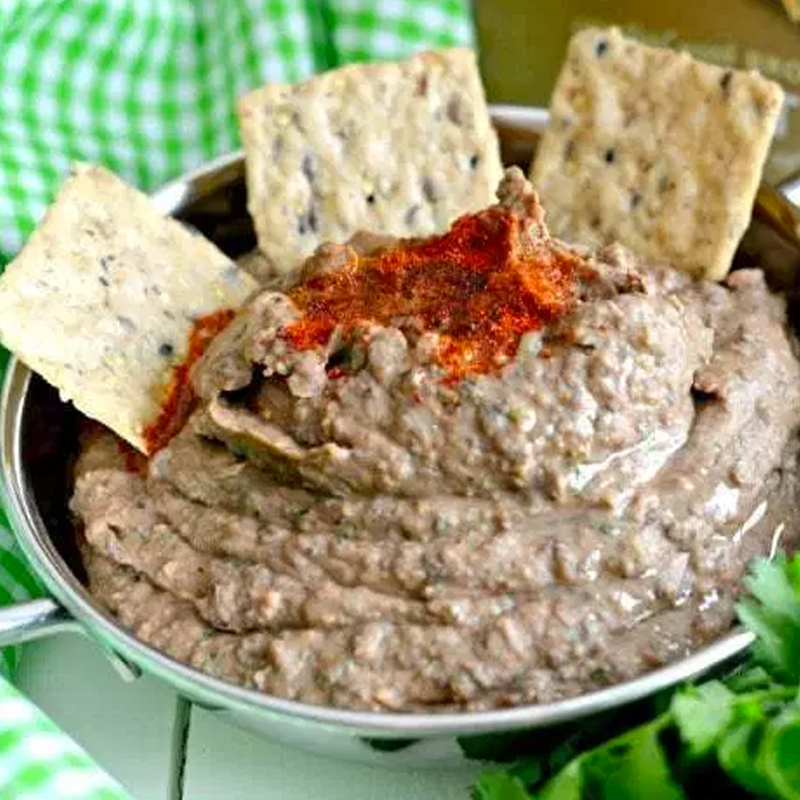 Naturally vegan and gluten-free, people of all eating styles can enjoy this dip, which makes it a perfect starter for any fall get-together. Do you have a creative hummus recipe of your own? We’d love to hear it! Share your photos with us on Facebook or Instagram for your chance to be featured on our page.